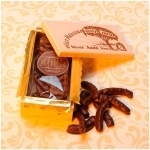 Our chocolate almonds are popular delicacies. 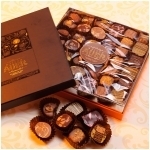 To peck unrestricted our Almonds Ballotins presentations are ideal for personal use. 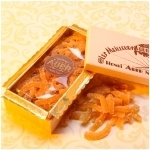 However, they can be offer without problem. 4 sizes available. 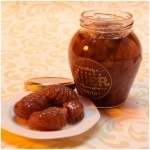 The Candied Chestnuts in Syrup are presented in a glass jar. You can keep them in their syrup can also be enjoyed with an ice cream, for example. 2 sizes available. 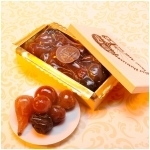 The Candied Fruits Wooden Box consists of a selection of our best candied fruits. 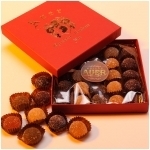 For eachn, preference, you can also create original desserts. 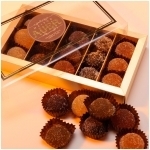 Available in 7 sizes. 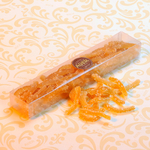 The real ginger root, sliced and candied by us. 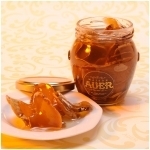 It is preserved in its syrup. Two size available. 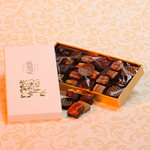 For those who prefer to have only a single greed, our Chocolate Creoles Blason Box is quite appropriate. 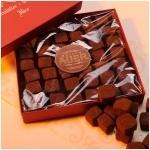 Our small cubes of pleasure are presented in 4 sizes box. 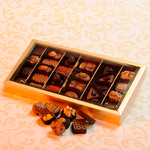 The simplest way to present our assorted chocolates is still a pretty printed in gold Ballotin. He can still afford. Available in 4 sizes. 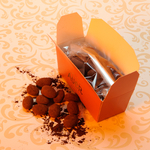 The burgundy of our Blason Box Cacao is particularly appropriate for the chocolate color of our cocoa products. 4 sizes for showcase. 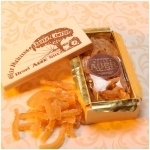 This pretty wooden box highlight the traditionnal aspect of our Crystallized Lemon . Available in 6 sizes. 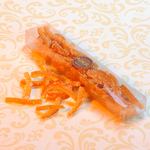 A wooden box of Crystallized Orangettes is an idea that is both original and delicate to offer simple but memorable. 6 sizes available. 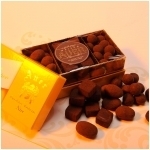 An assortment of our cocoa products in this Degustation Ecrin a lovely sunny yellow color. What delight your family and friends. Available in 3 sizes. 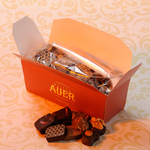 Our artisanal ganaches and pralines will be enhanced in our Luxury Box. 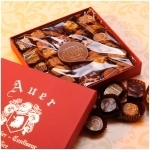 A finely decorated box is available in 4 sizes. 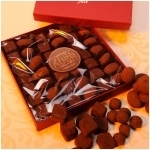 Our assorted chocolates need to present a case and protect them from shocks. We propose you this beautiful white and gold box to highlight them.